on Wednesday 7th February from 11am-5pm. USVreact is the Universities Supporting Survivors of Sexual Violence project which has been coordinated by Brunel, but links 24 universities across Europe. 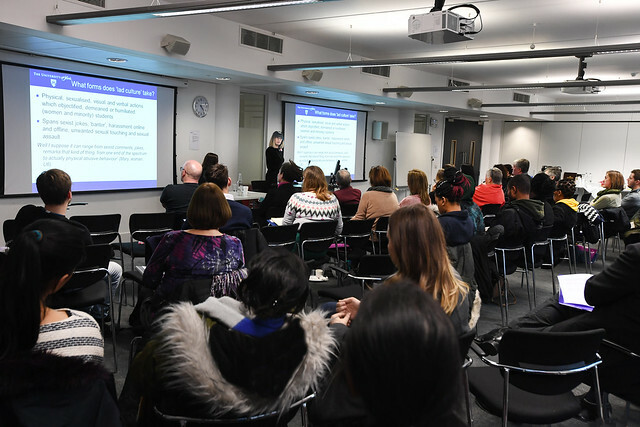 The event sees high profile speakers: Amy Norton and Dan Aldridge from HEFCE, and a Keynote by Professor Vanita Sundaram (York University) and is designed so that our referral and survivor support organisations can introduce themselves and meet staff here. The local conference at Brunel was a really valuable day, and we would be delighted if you could join us and continue the conversations and dissemination of our project. Feel free to share this information with your colleagues and networks as appropriate. Registration for the day was here.